There are so many obvious benefits to living in Los Angeles. It’s always sunny and warm. The ocean is never far away. You will never run out of new restaurants to try. What’s not to love, right? 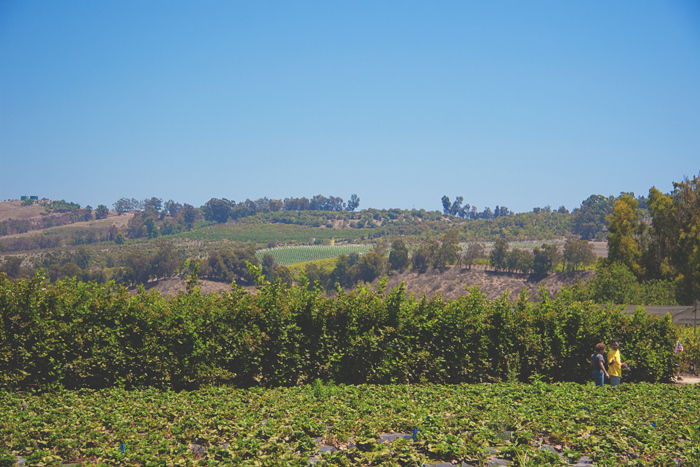 As much as we love living in Los Angeles, sometimes we miss our Canadian farmland roots. The never ending “busy-ness” of LA can sometimes get to you and all you want to do is escape to the countryside and disconnect from it all. Something that we like to do when we are feeling a little homesick is drive out of LA to the "countryside" and visit a U-Pick farm. 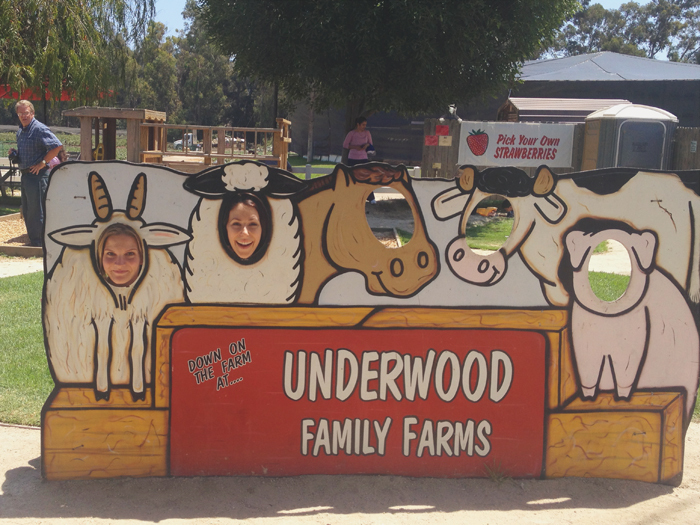 Last month we were feeling the urge to go fruit picking and decided on the Underwood Family Farms. After a short 45 minute drive to get there, not including the 10 minutes that we were lost (thanks Siri! ), we arrived ready to pick some fruit straight off the farm! We were immediately greeted by a group of goats (and other farm animals that we couldn’t properly identify). 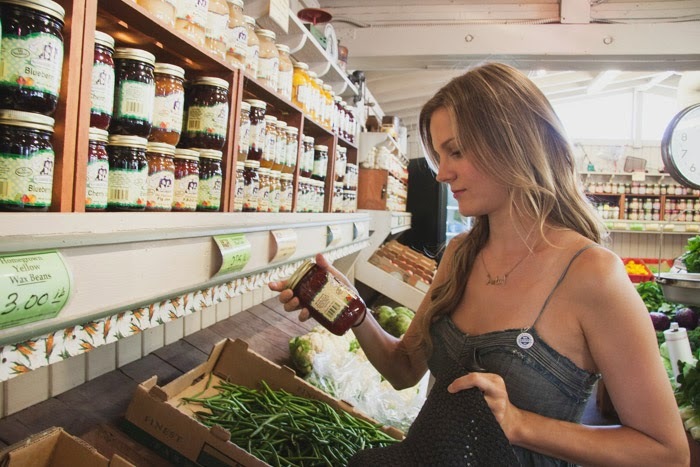 Once we had spent a decent amount of time admiring the goats (2 minutes), we made our way into the general store which had a giant selection of fresh fruits and veggies along with homemade jams, pickles, honey, salsas and so much more. 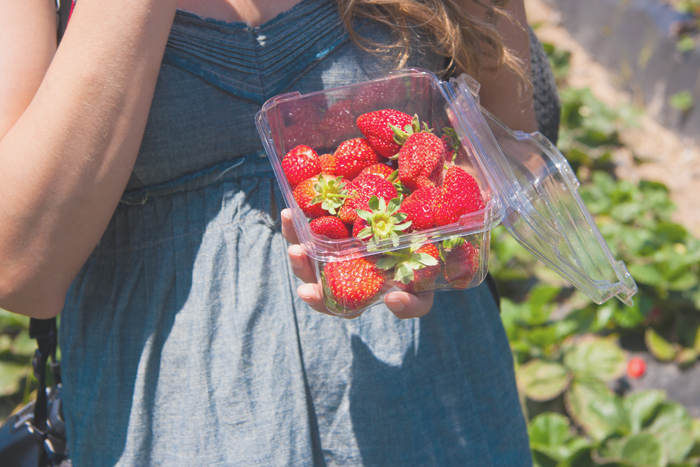 After spending way too much time admiring each homemade jar of goods in the store, we grabbed our complimentary baskets and made our way out to the fields to get our pick on. 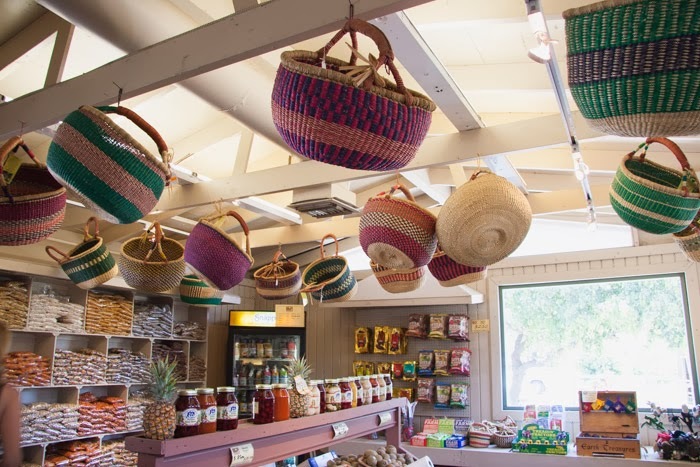 It should be noted that we debated for quite a while about whether or not we should purchase the beautiful straw baskets from the store to complete our perfect fruit picking experience. Alas, we fought the urge. We started with the raspberries because we couldn't resist the aisles of stunning vines (and the obvious photo opportunities it provided). Unfortunately there were a boat load of bees awaiting our arrival so we picked our raspberries pretty quickly and then pretended to be super calm when we snapped a few pictures. Totally normal. 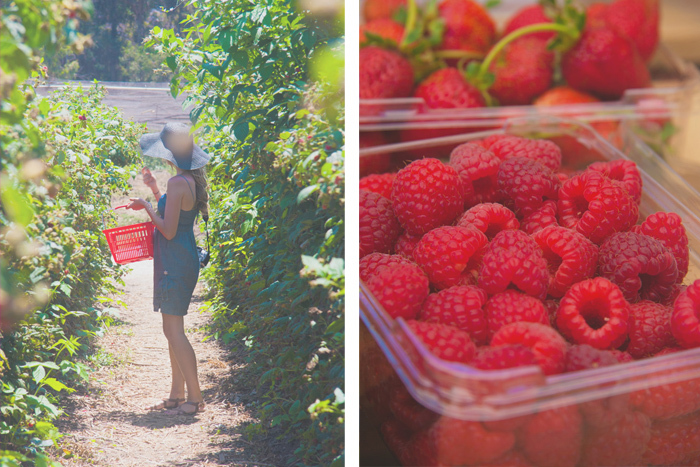 Once we filled up on raspberries, we calmly (frantically) made our way over to the strawberries. 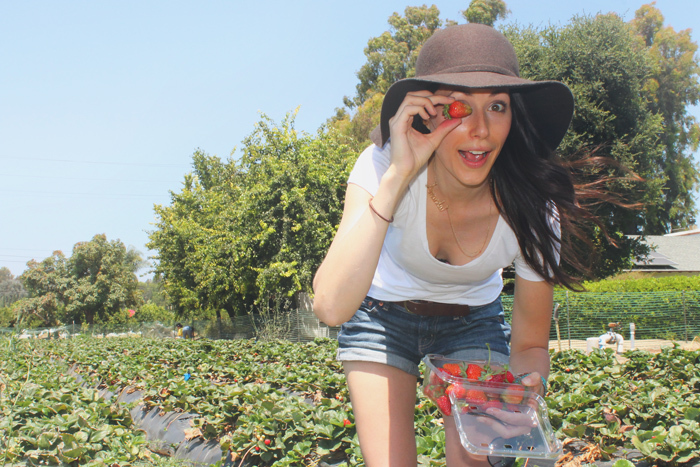 Thankfully there were no bees awaiting our arrival in the strawberry fields so we spent more time picking there. 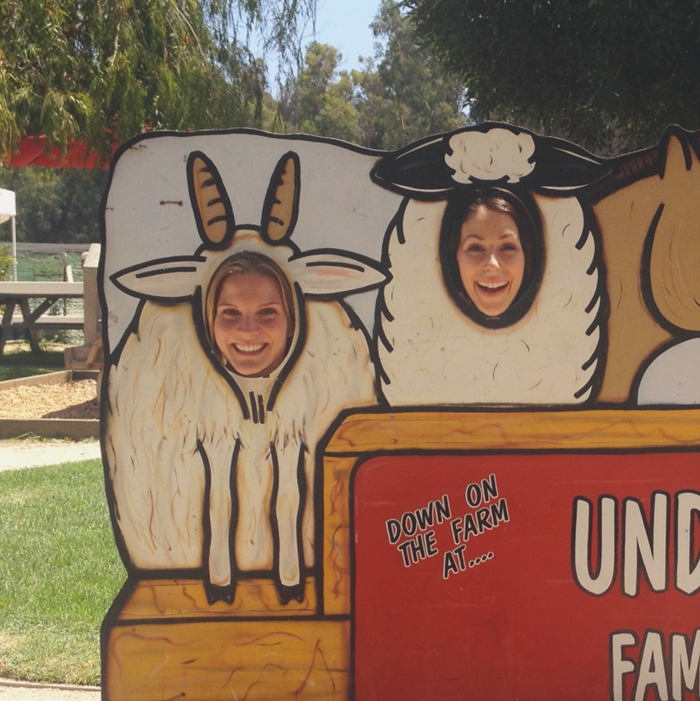 After we were finished picking fruit, we decided that no trip to the Underwood Family Farms would be complete without a picture in the animal cut out. We had to wait for a family to finish their pictures with their 5 year old son, and then we politely (embarrassingly) asked if they would take our picture. We would like to point out the man in the background. 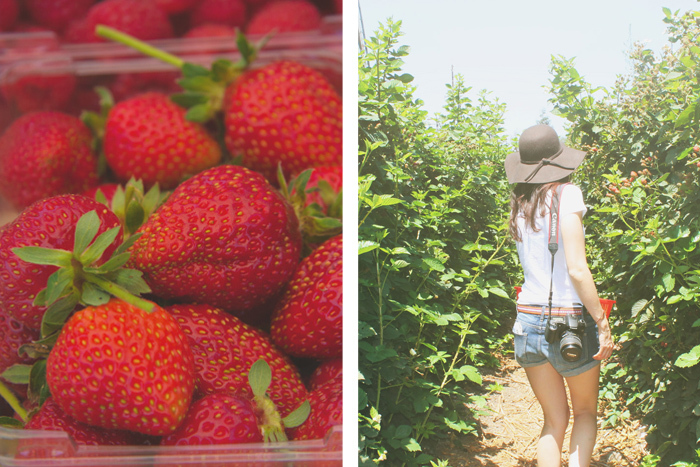 We had such a fun time berry picking and realized how important it is to get out of your city (or town) and explore somewhere new, even if it’s only 30 minutes away. Sometimes you get stuck in your own daily routine and you need something to break it up a little. We were in such a spontaneous mood, that on our way to the farm we decided to book a trip up to Santa Barbara to go on a wine and bike tour. So we did. In the parking lot of the U-Pick farm. On our iPhones. Spontaneity kids! (More on that trip later). Stay tuned for some raspberry and strawberry inspired recipes to come! 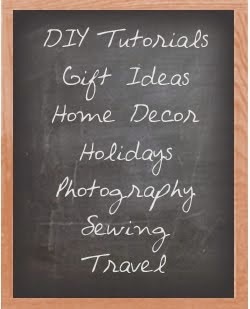 What do you like to do to get yourself out of a rut?